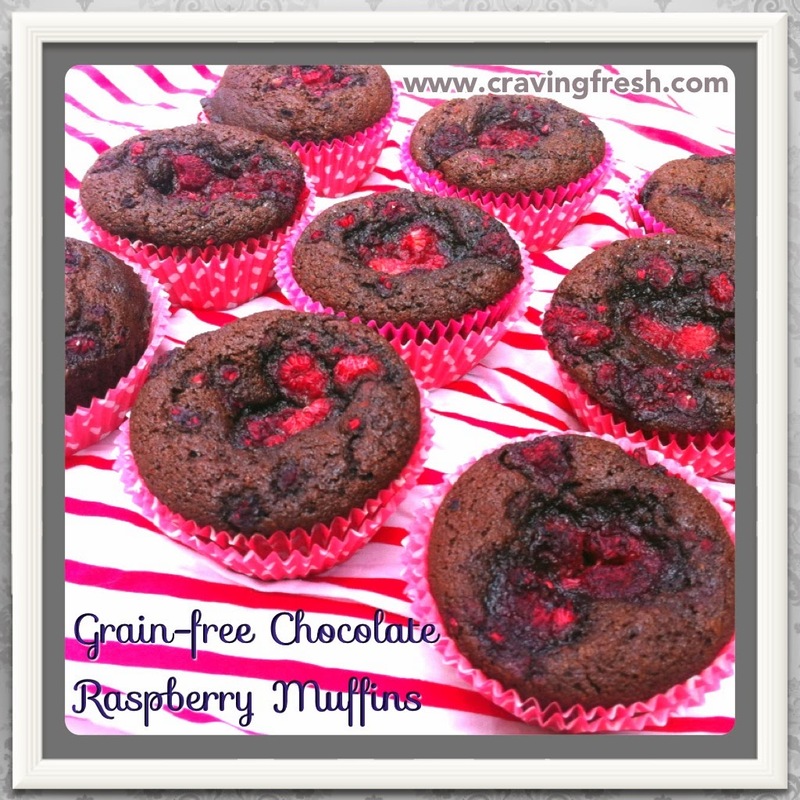 These grain-free chocolate raspberry muffins are a real hit in our family. Everyone loves their chocolatey molten deliciousness. I try not to eat them too often these days, as they're not sugar-free, but I do make them for the girls sometimes and freeze them to pull out for nutrition-filled special treats. Thank you to www.coconutoilshop.co.nz for providing coconut oil and coconut flour for my test kitchen. Preheat oven to 160°C / 325°F. Melt honey, sugar and coconut oil together on a low heat. Mix cocoa, coconut flour, hazelnut flour, salt, baking soda, eggs and vanilla essence together in a large bowl and stir through the melted honey, sugar and coconut oil. Mix well to combine. Line a 12-cup muffin tin with cupcake patties (I prefer silicone) and fill the muffin tin with batter. Sprinkle each muffin with a few raspberries. These muffins are beautiful fresh, refrigerated or straight from the freezer. They make great lunchbox fillers.